AMD announces its official release of the second-generation AMD Ryzen Threadripper processors including the AMD Ryzen Threadripper 2990WX processor with 32 cores and 64 threads. These second-gen sTR4 processors are created using the 12nm Zen+ x86 processor architecture. 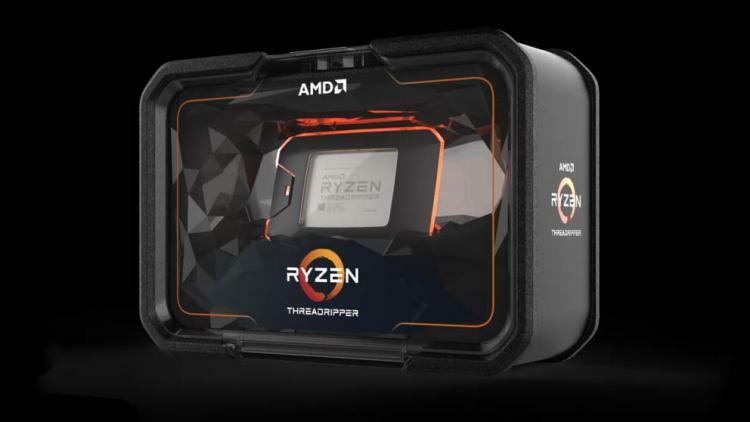 AMD claims the Ryzen Threadripper 2990WX processor delivers up to 53% greater performance over the competitor’s flagship processor, the Intel Core i9-7980XE. The new second-generation AMD Ryzen Threadripper processors are compatible with the existing AMD X399 chipset motherboards via a simple BIOS update. Hence, recently released X399 motherboards like the GIGABYTE X399 AORUS XTREME and MSI MEG X399 Creation will support the processors out of the box. The second-generation AMD Ryzen Threadripper processors implement improved AMD SenseMI Technology with Precision Boost 2, and Extended Frequency Range 2 (XFR2). Other features include the AMD StoreMI Technology that enables faster data transfer to decrease load times and launch applications faster; the Ryzen Master Utility that offers advanced hardware control; and Precision Boost Overdrive that enhances performance by increasing multi-threaded boost limits in premium motherboards. All the second-generation AMD Ryzen Threadripper processors are fully supported by all existing X399 motherboards from partner manufacturers including ASUS, ASRock, GIGABYTE and MSI.